Hello, my friends! 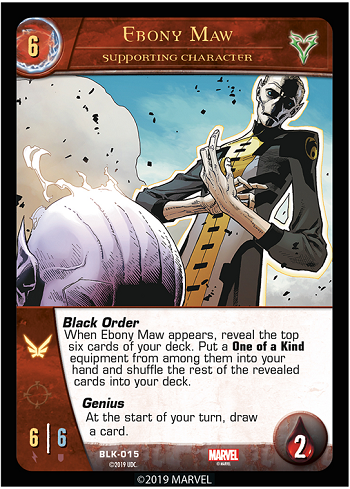 Welcome to another preview for the Black Order Issue in the Infinity War Arc for VS. System® 2PCG®! 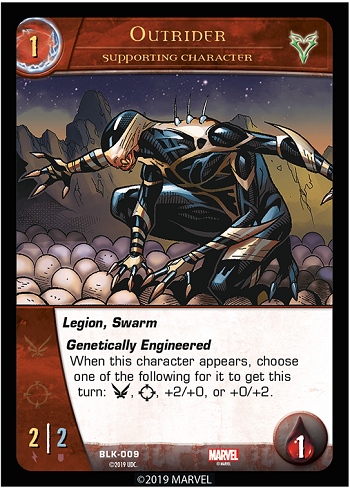 Hold on tight, these next two previews have a lot to say! Today we look deeper into the logistics and motivation behind Thanos’s Quest for the Infinity Gems. 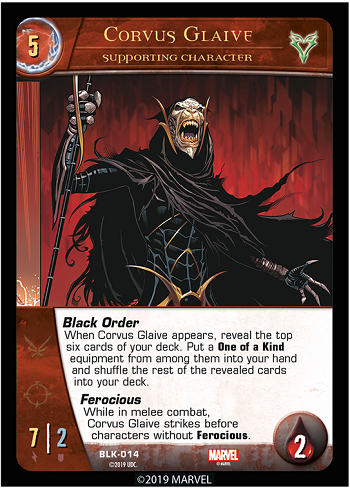 First let’s look at his main minions. Variations on a theme! What could they all be looking for? But enough of these low-level folks. Let’s see the Mad Titan himself! Now that’s a touching image. 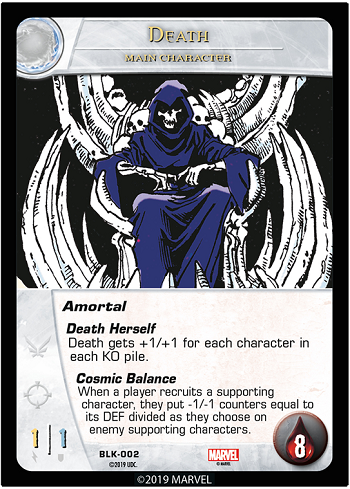 Thanos’s true motivation is, of course, the cosmic entity of Death. What could possibly go wrong? A lot, actually. Where to start? • She can’t be face down. If she would be turned face down, switch her with her other card instead and leave it face up. 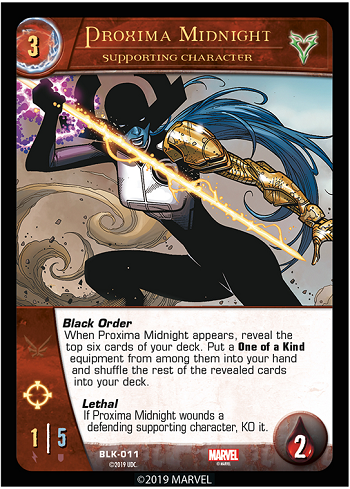 She still suffers other effects from the stun such as losing +1/+1 and -1/-1 counters, gaining a wound, and becoming exhausted. remain face up and place her in the ready position. • Amortal can’t be turned off. 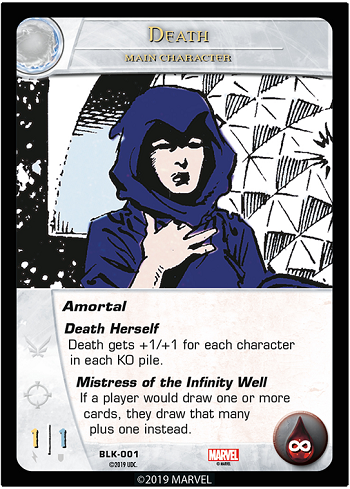 Also, note that although Death is the Mistress of the Infinity Well, she is no hoarder. 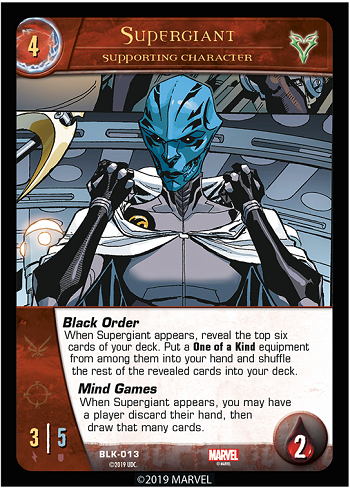 The Well works for every player (just like Cosmic Balance). She is, after all, about equality more than anything. Something that Thanos sort of understood when he looked in the Infinity Well. But he got the wrong kind of idea. 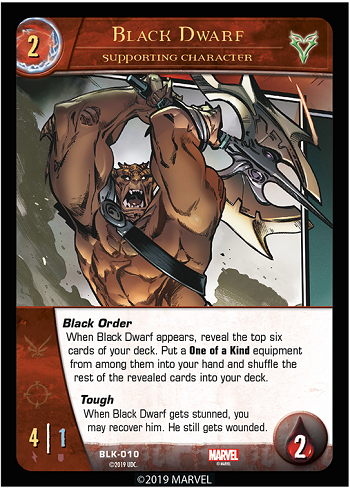 Schemes and Dreams prevents you from drawing cards during your Draw Phase, including your normal draws plus effects like Genius. 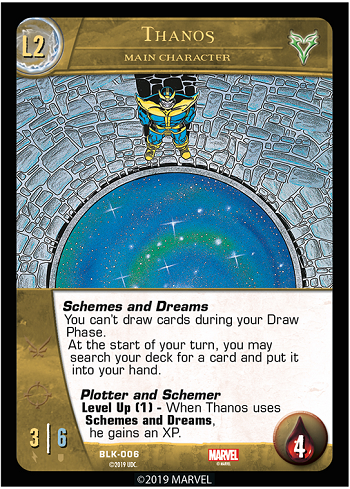 However, if Thanos is face down at the start of your turn, Schemes and Dreams will be turned off. This means you can draw cards during your Draw Phase, however you won’t be able to search for a card. What’s that? 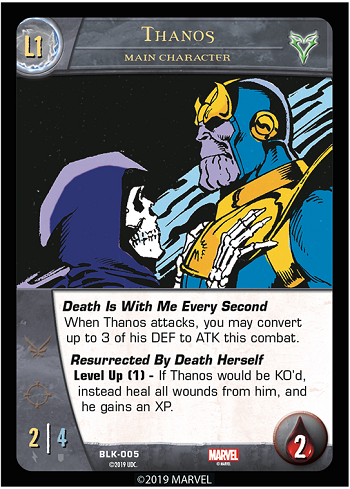 Thanos seems like he has another level(s)? Interesting, maybe we’ll see more about him next time! To Infinity, then past it!